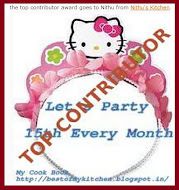 Nithu's Kitchen: Won "Sweet Kathleen's Cakes CookBook"
Won "Sweet Kathleen's Cakes CookBook"
We are happy to let you know that your blog was selected as this week's winner for the Foodie Blogroll "Comment to win Sweet Kathleen's Cakes Cookbook" contest! 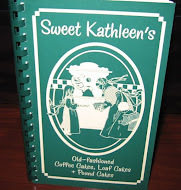 You will receive a receive a copy of sweet Kathleen's Cakes Cookbook! 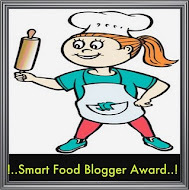 We are accouncing that your blog is a winner on the Foodie Blogroll home page and also in the Contests and Rewards page. I commented on their contest article and that won me this wonderful book. 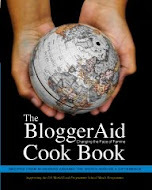 I'l be receiving the book sometime soon and sure to blog about the recipes I try from that. 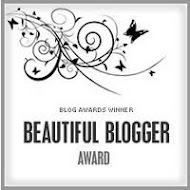 Thanks to the Foodie Blogroll Team and the sponsor. Congrats Nithu..so happy for you baby !! Congratulations Nithu.Waiting to see all the baked goodies from you.Have a nice day. Congrats Nithu. Keep going. Have a great day. Congrats Nithu. Happy that you got this. hope to see some of the recipes from your kitchen soon. Congrats Nithu, thats great to know..
hey nithu congrats dear !! its definately a gr8 piece of news..way to go gal !! Congrats Nithu!! You deserve it....Hope you see many more recipes from your kitchen. Congratulations, Nithu! I hope you enjoy all the delicious recipes! Nithu, first time here. Got the link of ur blog from yummyoyummy. 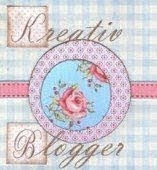 Gr8 blog and nice to read about Maya and Lakshmi :) Gud job Nithu.